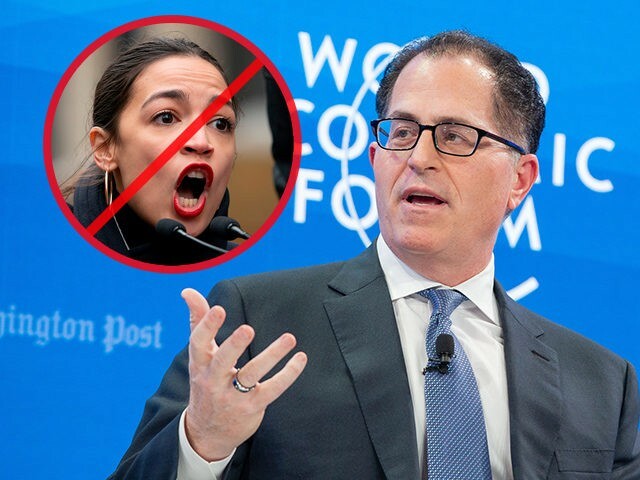 Speaking before the World Economic Forum in Davos Switzerland on Wednesday, Dell CEO Michael Dell rejected Rep. Alexandria Ocasio-Cortez’s (D-NY) proposed 70 percent tax rate on earnings above $10 million. Earlier Wednesday, Ray Dalio, founder of the world’s largest hedge fund, poured cold water on the proposal at Davos, warning that it could have a negative impact on the economy. “How tax rates are changed will have a huge effect on incentives and could have a huge effect on capital flows, and that will have big effects on markets and economies,” the Bridgewater boss told CNBC “It’s going to be a bigger market-influencing issue than people now realize.”. In a January 4 interview with Anderson Cooper for CBS’s 60 Minutes, Ocasio-Cortez floated the hefty tax rate to fund a nationwide shift to non-combustible energy sources called the “Green New Deal.” Analysis of this tax scheme estimates it would pay for less than 10% of the program’s required costs annually.